Flower size: 6.5mm (approx. 1/4"). 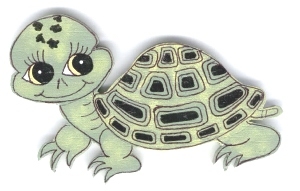 Turtle size: 11mm (approx. 7/16") wide and 11mm long. Earrings length: 19mm (approx. 3/4"). Weight: approx. 1.5 gram. Stone: Cubic Zirconia (CZ). Stamp: 925.
rand new yellow gold plated on solid 925 sterling silver 2 tone Hawaiian Plumeria flower dangling honu turtle earrings. The Plumeria measures 7mm and set with a white CZ. The earrings weigh 1.6gram. Yellow gold plated turtle size: 18mm (approx. 11/16") wide and 15mm (approx. 5/8") long. Earrings length: 1 3/16" long. Weight: approx. 2 grams. Stamp: 925. Turtle size: 18mm (approx. 11/16") wide and 15mm (approx. 5/8") long. Earrings length: 1 3/16" long. Weight: approx. 2.2 grams. Stamp: 925. Size: 10mm (approx. 3/8") wide and 12mm (approx. 1/2") long. Weight: approx. 1.8 grams. Stamp: 925. Earrings size: 14mm (approx. 9/16") wide and 27.30mm (approx. 1 1/16") long. Turtle size: 12.10mm approx. 1/2") wide and 13.75mm (approx. 9/16") long. Earrings weight: 1.9 gram. Stamp: 925. Turtle size: 15mm (approx. 9/16") wide and 12.5mm (approx. 1/2") long. Weight: 2.3 grams. Stamp: 925. Turtle size: 10mm (approx. 3/8") wide and 12.5mm (approx. 1/2") long. Weight: 2.2 grams. Stamp: 925. Hook size: 16mm (approx. 5/8") wide and 27mm (approx. 1 1/16") long. Weight: 1.4 gram. Stamp: 925. Leverback size: 16mm (approx. 5/8") wide and 30.5mm (approx. 1 3/16") long. Weight: 1.9 gram. Stamp: 925.